We can see from National Census of Agriculture data that more women are farming, and we can also see that from our experience studying and networking with women farmers. They’re reshaping the food system. They have a high-quality relationship with the land, water, animals and consumers. This idea that they’re trying to change the food system, while they’re still struggling as farmers, is amazing to me. They embody a sense of hope for the world. What surprised you the most as you researched this book? The striking variety of innovative strategies that women use to get access to land or to make their farm profitable. Women farmers have a strong commitment to serving their communities. They care about the quality of food they produce. They care about the environment, and they’re challenging the male-oriented farming system. What were some of the innovative strategies that stood out to you? Women farmers want to grow healthy food and be good stewards of the land. Some women run CSA’s (community supported agriculture). Others have diversified their operations, so they don’t just have dairy cows, poultry or vegetables for example. They also have educational programs on their farm to teach children and consumers about food, agriculture and the environment. Others have events at their farm such as seasonal harvest dinners. What barriers or struggles do women farmers face? Not being taken seriously by other farmers or by financial institutions is one of their main struggles. It limits their access to capital and information, which can determine success in farming. Few women inherit land from their families so they have to find other ways to obtain it. Unfortunately, accessing capital is a struggle for all new farmers, especially women. Conventional agriculture requires a huge upfront investment. That’s hard to come by, so many women farmers pursue smaller-scale agriculture because they don’t have to make such a large investment. Women farmers want to grow healthy food and be good stewards of the land. But because many of them didn’t grow up on farms, they need a lot of training. What kind of changes need to take place in order for women to play a greater role in agriculture and sustainability? They are already playing a role in sustainable agriculture. If you go to a farmers market or to a CSA pick-up location, you’ll see that women are well represented in those spaces already. But many people don’t recognize that they’re farmers. Agriculture institutions from the USDA to different state-level departments, land grant universities and agriculture colleges need to recognize the importance of women farmers and help create opportunities for women to be successful. 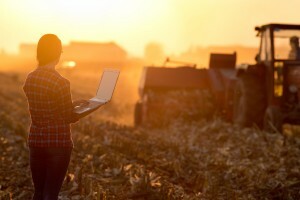 There are also new women farmer organizations such as the Women’s Agricultural Networks in Pennsylvania and Vermont and the Women Food and Agriculture Network in the Midwest. These networks provide education and leadership resources to women in farming. 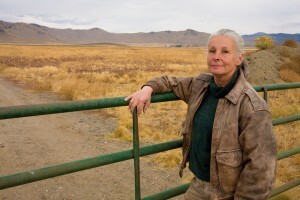 How can older farming organizations be more welcoming to women? Older organizations need to encourage women to be leaders rather than relying on them as spokespeople in their position as farm wives. It’s time for these organizations to celebrate these women’s contributions to the farm. They can provide leadership training and encourage women to be in leadership positions. In the next ten years, what other changes do you hope to see? I would like to see women farmers gain a lot more credibility and visibility. I’d also like to see them lead the way in making land stewardship and on-farm conservation practices the norm. Some of this interview has been edited for brevity and clarity. Additional information about The Rise of Women Farmers and Sustainable Agriculture is available from the University of Iowa Press. This entry was posted in Sustainable Agriculture and tagged agriculture, College of Agricultural Sciences, Community Supported Agriculture, conservation, CSA, farmer networks, farmers, female, food production, food system, land stewardship, Penn State, ranchers, sustainability, sustainable agriculture, U.S. Department of Agriculture, USDA, Women, women in agriculture, women in farming. Bookmark the permalink. Both comments and trackbacks are currently closed.